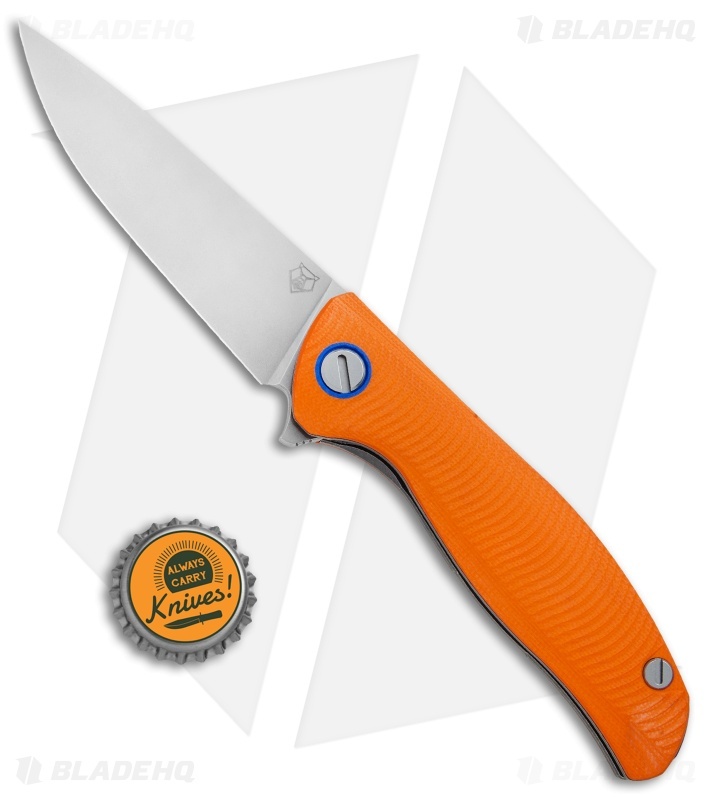 This F3 model is outfitted with an orange G-10 handle and a stonewashed CTS-40CP steel blade. 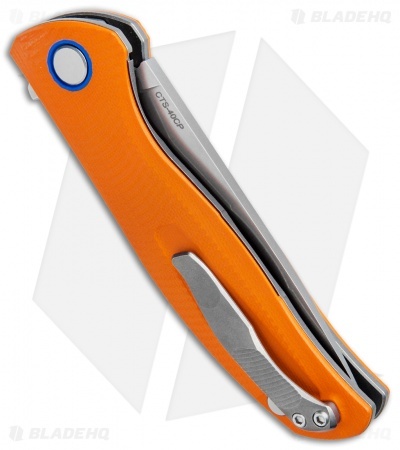 The F3 flipper showcases a brilliant design from Russian knife-maker Igor Shirogorov. This mid-tech model provides a wide liner lock version of the extremely popular Shirogorov designed 95 Flipper. It offers the same high performance flipping action in a more EDC friendly format. 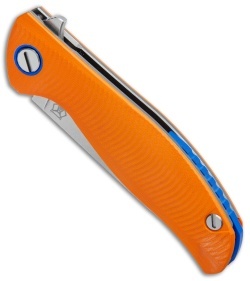 The sophisticated design is finished off with an expertly milled titanium pocket clip. Single Row Bearing System offers impressively fast and smooth blade deployment. Contoured G-10 handle provides a sure grip and a clean, sophisticated look. 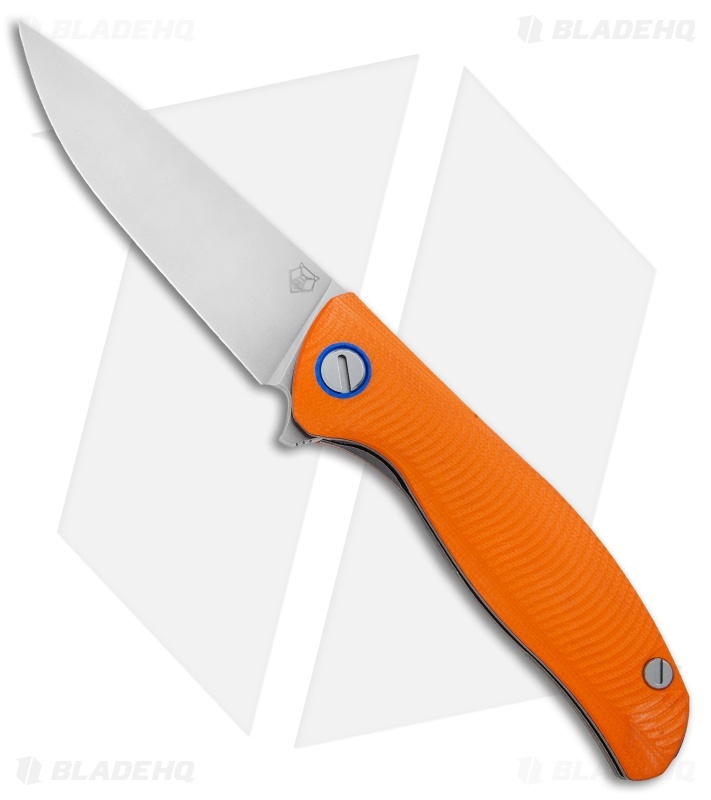 CTS-40CP blade steel for a hard blade with excellent hardness and corrosion resistance.